Fayetteville, Ark. 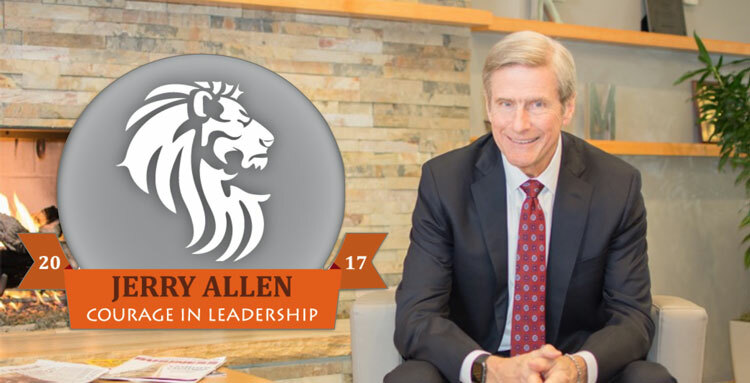 — John R. McAdams, Founder & Chairman of McAdams – a North Carolina-based engineering and design firm, has been named the 2017 Jerry Allen Courage in Leadership Award winner by Zweig Group. McAdams founded The John R. McAdams Company, now called McAdams, in 1979 with $9,000 and no predetermined clients. He grew the company into one of the largest and most respected design, engineering and planning companies in the Southeast. McAdams has demonstrated courageous leadership throughout his nearly 40-year career. He brought experience, wisdom and leadership to his company of 175 professionals, guiding them through the recent recession. While many other firms had to close their doors, McAdams made the personal sacrifices necessary to save as many clients and employees as possible. “I’ve never witnessed greater leadership or courage than what I saw in John McAdams during the past recession, and at McAdams, we all now enjoy such greater prosperity and unity with an unlimited future, all-due to John’s courageous leadership in these key years,” said Mike Munn, president & CEO. The Jerry Allen Courage in Leadership Award is given each year to someone working in an architecture, engineering, planning or environmental firm who has demonstrated in a unique way, personal courage in their actions and impacted their firm in extraordinary ways. This award is the highest individual honor given by Zweig Group. It is inspired by Jerry Allen, the innovative and inspirational leader who led Fort Worth based Carter & Burgess (now Jacobs) through a period of extraordinary growth. Under Jerry’s direction, the company grew from 200 employees and $17 million in revenue in 1988, to 2,300 employees and $381 million in revenue by 2002. Allen, who was an incredible athlete and in fantastic physical condition most of his life, was struck down by colon cancer at age 62. Allen was an important mentor to Zweig Group founder and CEO, Mark C. Zweig, who developed this award in his honor. To learn more about this award visit: http://hotfirm.com/our-awards/jerry-allen-courage-in-leadership-award.